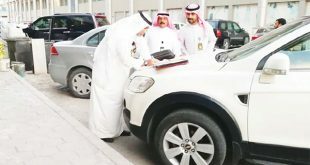 KUWAIT CITY, Aug 25: The Director of the Central Inspection Department at the Public Authority for Manpower (PAM), Mohammad Al-Ansari said that the committee which comprises members of the PAM, the Kuwait Municipality and ministries of Commerce, and Interior, have arrested 3,375 workers (violators of residence and labor laws) during field inspections since the beginning of this year, reports Al-Jarida daily. Al-Ansari said legal measures have been taken against these violators and they will be deported in coordination with the Interior Ministry. He pointed out, 1,126 workers were caught for others rather than their sponsors, 878 what the committee called ‘stray’ workers, 169 vendors, 76 beggars, as well as 480 working for the private sector, 75 on dependence work permit, 539 domestic workers under Article 20, five workers with visit visas including 2 GCC citizens and 25 bedoun. The source pointed out 240 companies have been referred to the Directorate-General of Investigation of the Ministry of Interior since the beginning of 2018 because these companies were found violating provisions of Law No. 6 of 2010 related to work in the private sector. The source stressed the inspection campaigns were organized within the framework of serious efforts of PAM to confront the visa traders and fight the companies which flood the labor market with marginal workers which has caused an imbalance that has affected the composition of the population structure in the country. 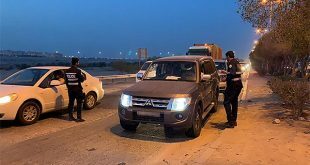 12 held in 2 days: A total of 12 individuals who are wanted by law for their involvement in cases of various kinds including criminal and financial cases were arrested during campaigns carried out in the last two days in all six governorates. Security sources said the arrested suspects were referred to the concerned authorities for further investigations and necessary legal action.